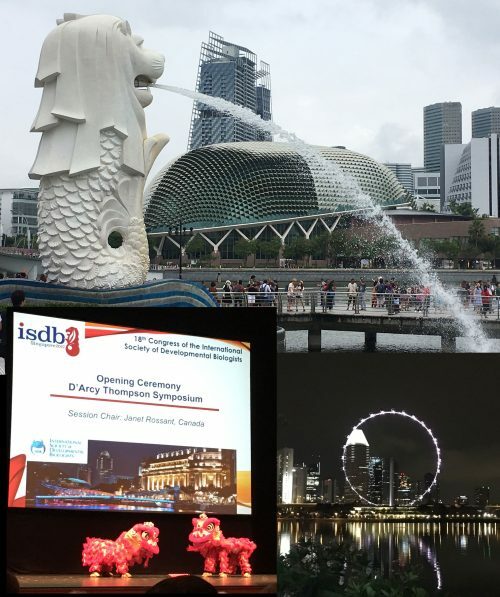 Singapore, the Lion City, attracted hundreds of developmental biologists from around the world to attend the 18th Congress of the International Society for Developmental Biology (ISDB 2017), June 18-22, at the National University of Singapore (NUS). The meeting takes place every 4 years, and gathers those fascinated by the early steps in life. 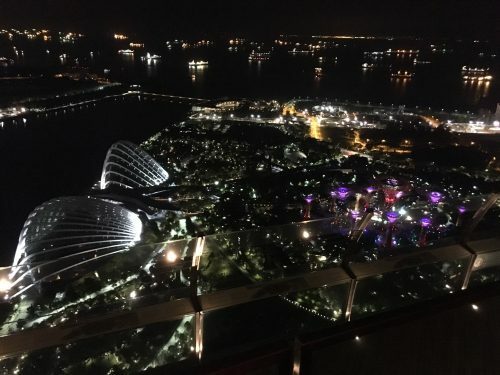 I had the intention to attend one of the ISDB meetings since my early PhD months, but for different reasons it ended up not being possible – this year (already as a post-doc), I managed to join the international community in ‘the Garden of Asia’, and really enjoyed a vibrant and diverse program. The opening ceremony kicked-off to welcome everyone with the traditional Lion dance. 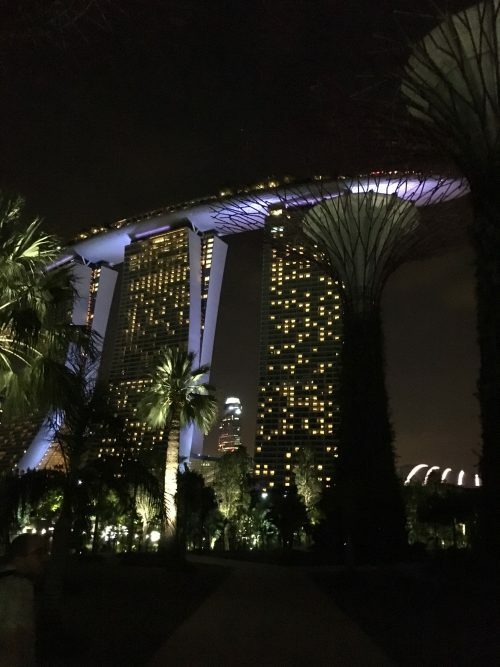 The main local host (and Singapore enthusiast) Phil Ingham, together with other members of the vibrant scientific community in Singapore, put together a phenomenal program that included 6 Nobel laureate lectures and many talks covering a variety of topics and (model) organisms. Based on my notes from the meeting, I will give an overview of the diverse sessions and highlight some talks – thus, my own personal bias to select certain topics will likely emerge. The first day included the D’Arcy Thompson Symposium, celebrating 100 years since the publication of the landmark ‘On Growth and Form’ (a topic that was already highlighted in previous posts on the Node). The symposium, naturally, focused on physical and quantitative approaches in developmental biology. It was a great way to start the meeting, reminding us all about the benefits of talking to scientists in other field and join efforts to address important questions from different angles. Speakers included James Briscoe (The Francis Crick Institute, London, UK), employing experimental and computational modelling of transcription networks in neural tube cell fate specification; Thomas Gregor (Princeton University, USA), visualizing long-range promoter-enhancer interactions and transcription regulation in the fly embryo; Hiroshi Hamada (RIKEN CDB, Japan), addressing symmetry breaking in the mouse embryo; Tim Saunders (Singapore), exploring the zebrafish myotome as a model in addition to his work in the fly embryo (and who co-edited, with Phil Ingham, a special issue of MoD that also celebrated the topics covered in the symposium); Olivier Hammant (ENS Lyon, France), exploring the effects of forces and tension on tissue shape; and Carl-Philip Heisenberg (IST, Austria), who also focuses on how forces are generated and propagated in tissues using zebrafish as a model. We were all lucky to have a stellar selection of speakers and participants in all sessions of the meeting, and the organizers could additionally go the extra mile and gather 6 Nobel laureates all under the same roof (an organizational achievement in itself, as we know agendas do not often allow it). Unfortunately, we learned the one of the lectures had to be cancelled due to health issues (Sydney Brenner), but all other laureates gave fantastic talks: Christiane Nüsslein-Volhard (from fly and zebrafish early development to skin colours), Eric Betzig (beautiful movies of unmatched resolution that will surely inspire generations of developmental biologists), John Gurdon (from somatic cell nuclear transfer to cellular memory and histone modifications), Martin Chalfie (Hox genes as guarantors of cell fate specification in C. elegans), and Eric Wieschaus (Interpretation of the bicoid gradient and the role of chromatin accessibility). On a personal account, as my current projects lie at the intersection of developmental biology and chromatin regulation, I have particularly enjoyed two of the talks that focused on these aspects. Sir John Gurdon, always with an inspiring clarity, showed us recent data about resistance to reprogramming by oocyte factors, not only identifying genes resistant to transcriptional reactivation but also by using chromatin modifiers to erase several histone modifications. Eric Wieschaus, in a talk that I have particularly enjoyed, explored how the maternal bicoid gradient is differentially interpreted by the genome of cells in different regions of the embryo. One of the key aspects is the regulation of chromatin accessibility, and one of the conclusions is that chromatin structure, rather than the underlying sequence, is what determines the concentration-dependent cohort of bicoid enhancers, with different degrees of affinity along the embryonic anterior-posterior axis. It was nice to hear another example of how chromatin remodelling is crucial during early development. In general, the meeting had a wonderful mix of topics as well as model systems. From well-established model organisms to exquisite animals that are now becoming more amenable to use experimentally, of course due to the potentials of genome editing brought by the CRISPR/Cas9 technologies. In particular, I enjoyed the work from Antonia Monteiro’s lab (Singapore) on the evo-devo aspects of Butterfly eyespot formation and wing patterning; an amazing variety of fly species and other diptera resulted in a phenomenal talk by Claude Desplan (NYU) on the visual system and its evolution. It was also cool to hear about using Emu embryos as models (Craig Smith, Australia), or even about turtle shell development (Shigeru Kuratani, Japan)! To highlight a few more speakers, I was marvelled with the identification of multinucleated cells during regeneration in the zebrafish heart (Ken Poss, Duke University, USA), which are temporarily generated and migrate to cover the wound. Norbert Perrimon (Harvard) explored inter-organ communication, giving several examples of how tissues send signals to each other within the organism, making us all aware that the processes we may be interfering with can have impact at distant target organs or tissues. François Schweisguth (Institut Pasteur, Paris) employed experimental and modelling approaches to beautifully tackle a long-lasting question about patterning: how stereotyped sensory organ patterns are self-organized (through Notch dynamics) in the developing fly notum. Finally, Denis Duboule (EPFL, Switzerland) gave an overview of limb development from the point of view of chromatin organization and genome topology. Given my own interests, I found it fascinating as work from his lab could uncover how enhancer regions may activate certain Hox genes in the forelimb or the digits, starting to reveal how development is orchestrated in connection with the structural organization of the genome in topological-associated domains (TADs). There would certainly be more to tell, and I have really enjoyed the opportunity to meet some of my scientific heroes and openly discuss science with old colleagues and meet new students/post-docs from all over the world! It was also great for me to meet the Portuguese community (and make me feel at home even half a world away), who were also representing the Portuguese Developmental Biology Society (SPBD). I can only look forward to the next ISDB, in 4 years’ time…! We already know it will take place in Vancouver, Canada (Summer 2021), and it will surely be a calendar highlight for all of us developmental biologists! Also, a new ISDB President will be in charge over the next 4 years up to the meeting – Angela Nieto (Alicante, Spain) is the newly elected ISDB President. Angela has committed to increase the interactions among developmental biologists around the world, as well as making funding agencies and the lay public aware of the importance of basic research in these fields to further the understanding of mechanisms that will be relevant other fields. This is certainly a point of view that I also share, so we can all hope Angela has a successful term!